Paragon Set N Fire Kiln Model LT-3K for sale. Works great but no room for it in our new place. If interested, please text . Buyer must pick up, cant deliver. 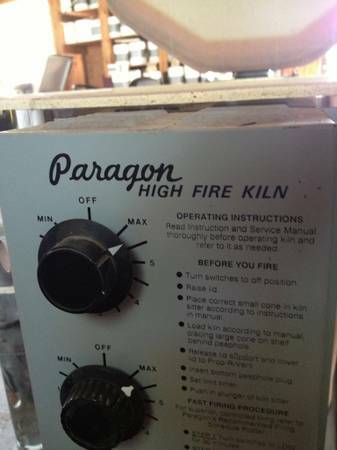 Paragon Set N Fire Kiln Model LT-3K for sale. Make a reasonable offer. Buyer must pick up. Paragon model LT-3K Set N Fire Industrial Furnace kiln for sale. First 750 takes it. Can deliver within 30 miles. Call for info Jeff - 248-252-7512.